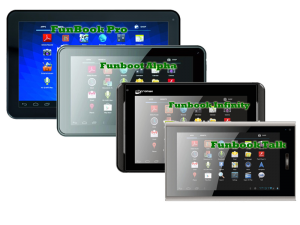 Micromax has recently launched their first Tablet Funbook Talk with Voice calling capability, but its limited only to 2G calling and GPRS connectivity. If you want 3G Connectivity then you will need to add a dongle. 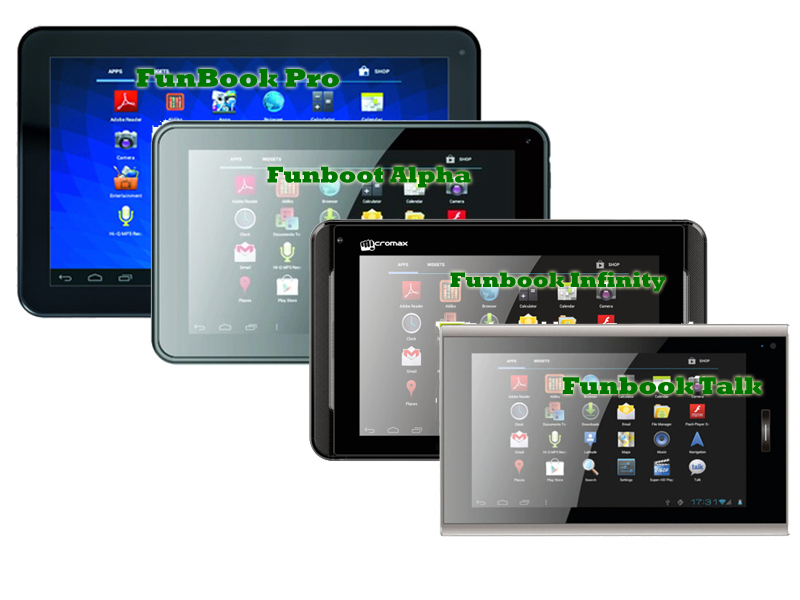 With the Comparison Table above you can easily make out that all the Tablets have same features. Equipped with a fast processor of 1.2 GHz Cortex-A8 and is supported by GPU of Dual Mali-400MP. Runs on the latest Android version Android 4.0 Icecream sandwich. Nice display of 7 inch. Latest option for its connectivity Wi-Fi, 3G [through Dongle] MicroUSB. Comes in a budgetary price of Rs 6000. Below average internal memory capacity of 4GB. Runs on inferior RAM capacity of 512 MB RAM. Calling facility is not provided. Equipped with a below average camera of 0.3 MP front facing. Battery is not up to the mark rated at 2800 mAh. Runs on latest android version available Android 4.0 Icecream sandwich. Fairly good 1 GHz Cortex-A8 supported with GPU of Dual Mali-400MP. All Latest option for its connectivity Wi-Fi, 3G [through Dongle] MicroUSB. Comes in an affordable price of Rs 6499. Mediocre internal memory capacity of 4GB. Calling facility is not is not there. Equipped with a substandard camera of 0.3 MP front facing. Powered by a below par battery of 2800 mAh. Good 1.2 GHz A10 Cortex A8 processor along with a GPU of Dual Mali-400MP. Superb display of 10.1 inch. Quiet good RAM capacity of 1GB. Fairly good internal memory capacity of 8GB. Fueled by a nice battery rated at 5600 mAh. Below par camera quality of 0.3 MP front facing. No facility for making calls. Powered by a fast processor of 1.2 GHz A10 Cortex A8 and is supported by GPU of Dual Mali-400MP. Equipped with a 2 MP rear facing camera and 0.3 MP front facing camera. Affordable price of Rs 6999. Runs on substandard RAM capacity of 512 MB. Not up to the mark internal memory capacity of 4GB. Works on a nice processor of 1.2 GHz A10 Cortex A8 and is supported by GPU of Dual Mali-400MP. Equipped with latest Android version Android 4.0 Icecream sandwich. Calling option is provided only 2G + GPRS. Comes in an affordable price of Rs7249. Runs on below average RAM capacity of 512 MB. Below par battery rated at 2800 mAh. Swipe Telecom has launched a dual sim enabled Tablet and it looks like Micromax is intrested in taking more chunks of Indian Tablet market with its Funbook range. we can either see a full version 3G enabled, video calling equipped Android Tablet from Micromax next year.